August 31, 2018 (San Diego's East County) --Long-time East County politician Joel Anderson (R-Alpine), likely didn’t intend to end his tenure in the California State Senate with accusations that he recently made a threat to strike a female lobbyist at the Diplomat Steakhouse Restaurant, across the street from the state Capitol in Sacramento. Anderson, who is running for State Board of Equalization now that he is termed-out in the Senate, denies making a threat and says his words were misunderstood in a noisy restaurant. June 5, 2018 (San Diego’s East County) – In the open 38th state Senate seat being vacated by Joel Anderson due to term limits, former Assemblyman and current Santee Councilman Brian Jones, a Republican, has secured 58.7%. Cal Fire Captain and paramedic Jeff Griffith, a Democrat running on a platform of fighting to improve public safety, has nearly 40% in this heavily Republican district. Assuming Jones remains over 50% once all late mail-in and provisional ballots are counted, he will win the election outright and there will not be a run-off race. February 2, 2017 (San Diego’s East County) — Two local legislators have taken stands against SB 54, a measure that would prevent state and local authorities in California from cooperating with federal efforts to deport undocumented immigrants. March 15, 2016 (San Diego) — Two San Diego legislators, Senator Joel Anderson (R-Alpine) and Assemblyman Brian Mainschein (R-San Diego) have introduced Senate Bill 1046, a measure that would require people convicted of first-time drunk driving offenses to install an ignition interlock system on each vehicle that they own or operate. If the device detects alcohol on the driver’s breath, the vehicle won’t start. March 10, 2016 (El Cajon) -- As a result of the Morgan Hill Concerned Parents Association (MHCP) vs. California Department of Education case, Senator Joel Anderson (R-Alpine) sent a letter (full text below) to MHCPA, urging them to take precautions in protecting former and current student’s data and identity: Parents and former students over the age of 18 can object to the court’s ruling before April 1, 2016. More information can be found on the California Department of Education’s website: http://www.cde.ca.gov/re/di/ws/morganhillcase.asp. Correction: A prior article in ECM stated that Senator Anderson supported construction of Sunrise Powerlink. His office indicates he took no position on the project. We regret our error. 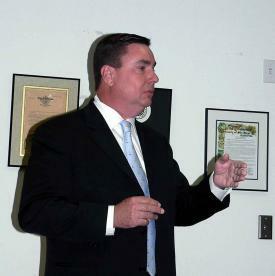 Senator Anderson’s letter indicates he has contacted three state agencies regarding the EMF concerns, including the California Department of Health (CDPH), which advised him that they will review measurements taken by local governments to see how they compare with other schools that were surveyed by the CDPH in a previous study. February 21, 2016 (San Diego’s East County) – State Senator Joel Anderson has announced that he is withdrawing from his race to unseat Supervisor Dianne Jacob. Anderson indicated that he will instead file to run the 2nd Supervisorial District in 2020, when it will be an open seat due to term limits. October 7, 2015 (Sacramento)- A new era is beginning for working women in California. On Tuesday, Governor Jerry Brown signed legislation into effect that gives women more tools to help fight gender-related wage inequality. August 27, 2015 (Sacramento)—Senate Bill 350 aspires to set new standards for renewable energy in California that the authors day will grow the state’s economy and improve public health by cutting petroleum use, increasing energy efficiency in existing buildings. But opponents contend that raising taxes on gas and vehicle users’ fees would create economic hardship for some Californians. As for the thousands of protesters, he said derisively, “There’s a naysayer in every crowd,” adding that the protesters “don’t like the free market.” As for criticisms of secret dealings behind closed doors, Anderson retorted, “We can’t respond to every wack-job” and insisted the process is not secretive, as critics claim. Reporter Ken Stone with Times of San Diego pressed Anderson, pointing out that he had been denied access to cover some key sessions. The protesters included a prominent local business organization as well as labor, environmental, human rights and political reform organizations. They contend that secretive actions conducted behind closed doors by ALEC result in laws that hurt small businesses in America and weaken protections for workers, the environment, and civil rights. This interview originally aired Monday, February 23rd on KNJS 89.1 FM during our East County Magazine show which airs Monday, Wednesday and Friday at 5 p.m.. You can also listen live at www.knsj.org or download the TuneIn Ap to hear KNSJ on your cell phone. 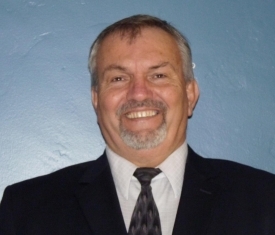 February 22, 2015 (San Diego’s East County)—State Senator Joel Anderson (R-Alpine) has been endorsed by the County Republican Party for his candidacy challenging East County’s Dianne Jacob for her seat on the County Board of Supervisors next year. But increasingly, media and constituents are raising serious questions about Anderson’s motives for running and his close ties to special interests—questions that Anderson has refused to answer. November 4, 2014 (San Diego’s East County) – By large margins, legislative candidates representing East County have won their reelection bids. Republican State Senator Joel Anderson leads Democratic challenger Fotios “Frank” Tsimboukakis by a 69.29% to 30.71% margin, with 37.7% of votes counted in the 38th district. In the 40th State Senate District, where two Democrats are in a run-off due to the top-two primary system, incumbent Senator Ben Hueso leads challenger Rafael Estrada 55.29% to 44.71% with a third of all precincts counted in San Diego County, though results from Imperial County are not yet available. Hueso enjoys the substantial lead despite an arrest for driving under the influence of alcohol. October 9, 2014 (San Diego's East County)-- Frank Tsimboukakis, candidate for State Senate running against incumbent Senator Joel Anderson, sat down for an interview with the East County Magazine Show. The interview originally aired on KNSJ 89.1 FM radio on October 1st and is now available online at the link above. Tsimboukakis talked about his goals if elected, drawing clear distinctions between himself and his opponent on issues ranging from education affordability to jobs. He also questioned Anderson's slogan as a "tax fighter" given that Anderson has had multiple tax liens filed in the past, both personal and business, including business tax liens that records indicate have never been paid. For more information, click "read more" and scroll down. August 8, 2014 (El Cajon)--Six East County politicians participated in a lively question and answer session under the stars at Cuyamaca College's Water Conservation Garden during a mild summer evening on August 7. The location for the annual event hosted by the joint Chambers ofCommerce in East County was apropos because the state’s water issue was a hot topic discussed by local leaders. The site exemplified ways that constituents could help with the current drought. Other issues debated at the event were welfare, immigration, the local craft beer industry, using public pension funds to invest in affordable housing, providing incentives to private developers, Proposition 13, high-speed rail, and even Shamu. April 16, 2014 (San Diego’s East County) – Senator Joel Anderson’s office has provided a list of scholarships and grants available. Below is a list, along with other helpful information share with college students and soon-to-be college students. "My wife and I are the proud parents of two college graduates and we know first-hand how expensive college can be these days. That’s why we want you to have this valuable information," says Senator Anderson (R-Alpine). February 7, 2014 (Sacramento)—Two California legislators have teamed up in an effort to curtail the National Security Agency (NSA) from warrantless surveillance of all Americans. Senate Bill 828 is coauthored by Republican State Senators Joel Anderson, who represents most of East County, and Democrat Ted Lieu from Torrance. “I support this bill because I support the Constitution, our Fourth Amendment rights and our freedoms to live in the United States of America,” Senator Anderson stated in a press release. The bill would prohibit state agencies and officials, as well as corporations that provide services to the state, from assisting the NSA in collecting data without warrants on 38 million Californians. Services that the NSA relies upon include power and water needed to cool its powerful supercomputers. 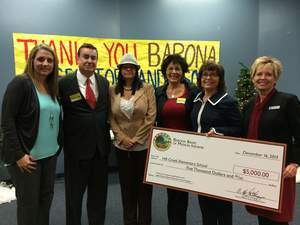 December 20, 2013 (Santee) – The Barona Band of Mission Indians is ending 2013 on a high note by awarding an education grant to a deserving local school. The program’s most recent $5,000 grant was presented by Councilwomen Beth Glasco and Bonnie LaChappa to Hill Creek Elementary in Santee, fulfilling important educational resources on both students’ and faculty’s holiday wish lists. Senator Joel Anderson nominated Hill Creek Elementary for the grant. November 18, 2013 (El Cajon) – Senator Joel Anderson cordially invites the public to a “Holiday Open House” at Toyota of El Cajon, 965 Arnele Avenue, on Thursday, November 21, from 6:00 to 8:00 p.m. The holiday season is a time to reflect on the accomplishments of the past year. This open house will provide you with the opportunity to receive a 2013 legislative update and to submit your ideas to improve the state government. For more information or to RSVP, please visit www.senate.ca.gov/anderson or email senator.anderson@senate.ca.gov. You may also call the El Cajon District Office at (619) 596-3136. 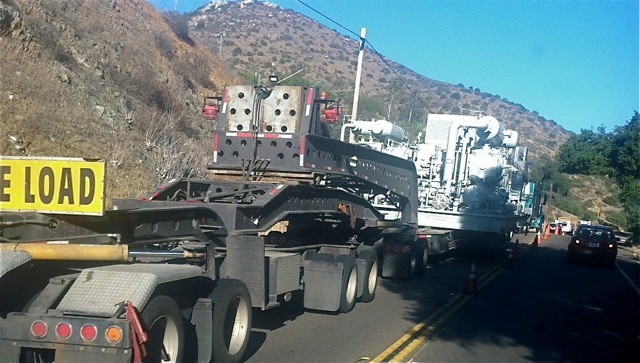 June 3, 2013 (San Diego’s East County) – SB 33, a bill that could force voters to pay for big energy projects through bond measures even if the majority of voters don't approve such projects, is moving forward in the state legislature. The bill has passed the State Senate and is set for hearing June 12 in the Assembly Local Government Committee. It could have a big impact in East County communities such as Boulevard, where big energy companies have engaged in a stealth campaign to stick voters with the bill for projects they don't want.